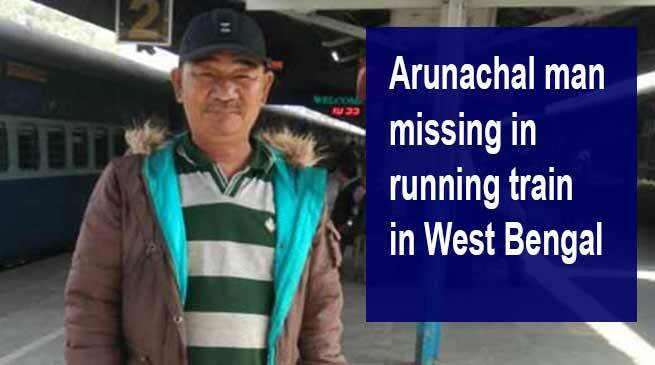 A mentally retarded man belongs to Arunachal Pradesh is missing in running train in west Bengal, informed Robin Hibu IPS, special commissioner of Delhi Police who is also the founder of Delhi based NGO, Helping Hand. Robin informed that ” Tadar Mangha, is mentally retarded man, was taken to Kolkata from Guwahati to admit him at rehabilitation centre today, but he was missing from running train. The companion saw him for the last time at Rampur station, as he slept off. When he woke up at Howrah station the person was found missing, Robin informed. Though railway police and west Bengal police has been informed and they are searching him. Still Robin requested to volunteers of Helping Hands at Bengal, Darjeeling, Assam, if any one found any clue related to missing person, then he/can she inform to Mr Robin at 9810083486 by SMS or WhatsApp. Robin also requested to Volunteer to share his photographs in your group and social media.